The seven pieces featured in this display represent just a few of the items of jewellery acquired for the decorative art collection within the last twelve months. They are high fashion design pieces each epitomising the style of their respective eras and as such can be compared with corresponding pieces of architectural, interior or fashion design. The Art Nouveau tiara comb straddles two eras: the outgoing Edwardian period - in its purpose to be worn for a formal evening reception and the new modernism - in the delicacy and simplicity of design and the use of enamel, rather than precious stones. The tiara has a hinged comb designed to slide into the wearer's hair to enable the 'crown' to sit almost upright. The delightful tooled leather case is original and was made especially to carry this tiara. It bears the stamp of A&J Smith of Aberdeen. 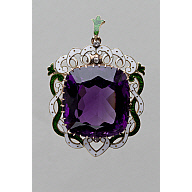 The amethyst, enamel and diamond pendant can also be worn as a brooch: its enamelled 'bale' (the metal loop that attaches the pendant to the chain) and the fitting at the back can both be detached. Whilst its design is conventional for the time, with none of the 'artistic sensibility' of the tiara comb, it is distinctly unconventional in that its colour way of green, white and purple were the distinguishing colours of women's suffrage movement, in particular the Women's Social and Political Union which had adopted the colours for its political profile in 1908. At a rally held in Hyde Park in June of that year which was attended by 300,000 people - the majority made a statement by wearing these colours openly and proudly. 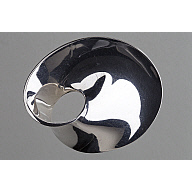 The two brooches by Georg Jensen date from the late 1960s and were designed by different 'in house' designers. 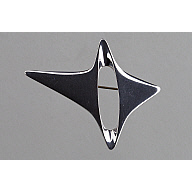 Henning Koppel collaborated with Jensen over many years and designed the amorphic Shooting Star brooch and Vivianna Torun Bulow-Hube designed the iconic Mobius piece. Both pieces are symbolic of what we have come to associate with the classic simplicity of Scandinavian design. 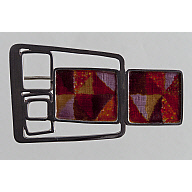 Norman Grant designed and made both the enamelled brooch and pendant. Grant was born in Forres and studied at Gray's School of Art in Aberdeen, initially in graphic design before diversifying into silversmithing. His early pieces were colourful and derived inspiration from both organic and pop art forms. His trendsetting work acquired 'must have' status in the mid 1970s and was worn by celebrities such as Sandy Shaw and Mick Jagger. 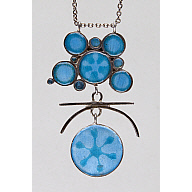 The most modern piece in the display is a contemporary brooch by Norwegian designer Millie Behrens. 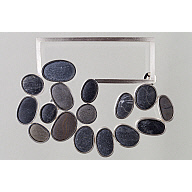 Embrace is made from unpolished silver and set with natural pebbles. The combination harks back to the Scottish tradition of silver and granite jewellery; simultaneously embracing the Scandinavian traditions of geometry and the aesthetics of minimalism. 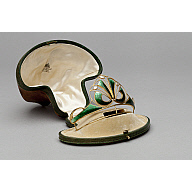 Image: Art Nouveau Green Enamel Tiara and Original Box, made by Alexander and John Smith of Aberdeen, c.1910. Found 7 Results. Showing records 1 to 7. Page 1 of 1.